Selma, Alabama, was perhaps the climax of the Civil Rights movement. On the 51st anniversary of that famed march, we take a moment to reflect on some of Dr. Martin Luther King’s most extraordinary oratory, which is so very relevant today. In honor of Martin Luther King Day, WhoWhatWhy presents — through a fascinating collection of pictures — a brief history of American racism, a look at the kind of hatred, atrocities, and soul-searing humiliation that spurred King into action. Rather than the stuff of dreams, much of it was a living nightmare. We first published this piece in 2015, but it remains more relevant than ever — because we seem to be going backwards. We want you to see, with your own eyes, just how ugly it can get. This documentary about the three Reuther brothers of the United Auto Workers, tells, through one very important union, the remarkable story of the rise and fall of organized labor. 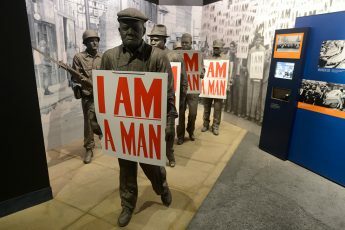 It also addresses the crucial symbiosis between unions and the civil rights movement. There’s even a curious connection to the deaths of JFK, RFK and MLK.